Once you've imported your podcast to Omny Studio, you can easily migrate to Omny Studio without losing your existing subscribers. All you need to do is tell iTunes and the other podcast directories and apps to pull from your new RSS feeds. This is done by applying a re-direct from your old feed to your new feed. 5. In the "Redirect Feed to this Web Address" textbox, paste your Omny Studio RSS URL. 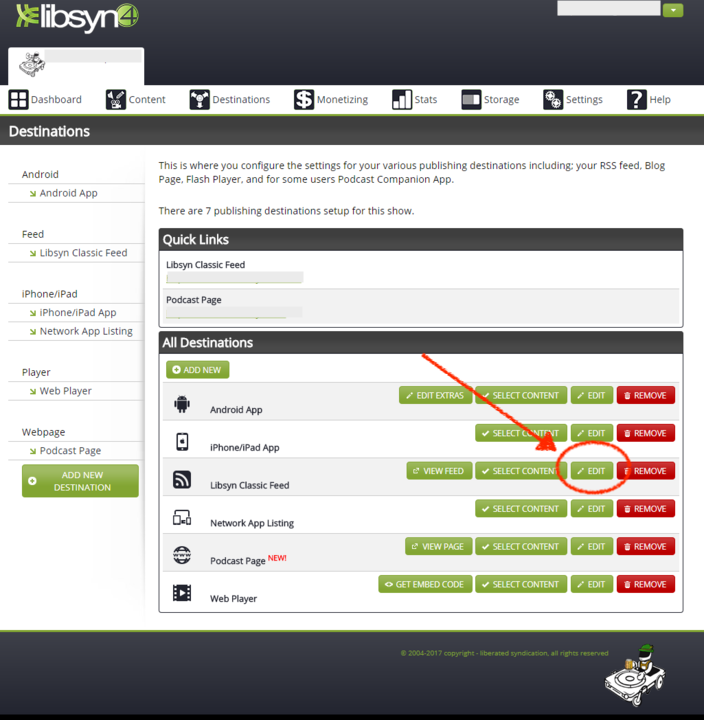 Libsyn will now redirect your feed to Omny Studio. 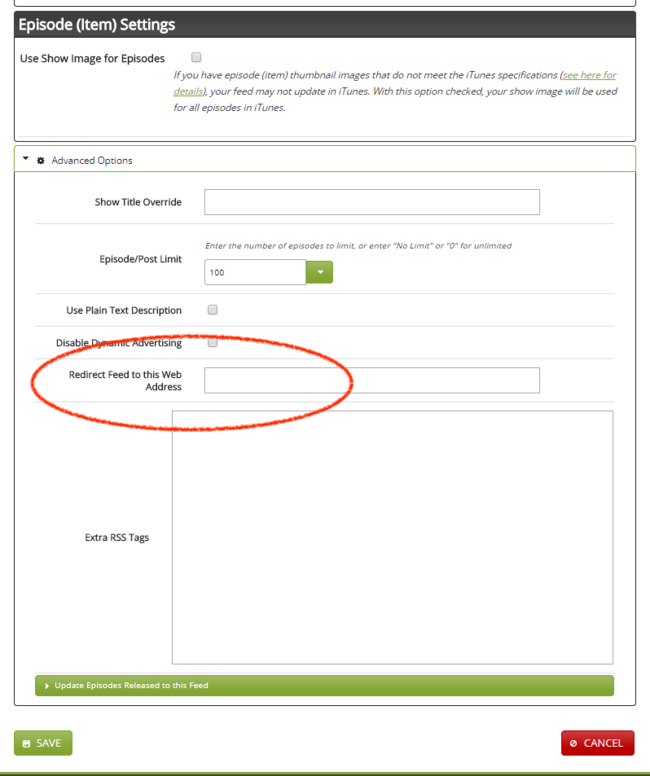 If you have submitted your podcast to Spotify from Libsyn then you'll need to update your Spotify RSS feed by following this guide.